Caracas, is the capital and largest city of Venezuela. 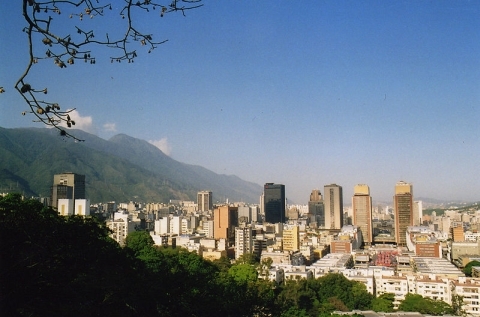 It is located in the north of the country, following the contours of the narrow Caracas Valley on the Venezuelan coastal mountain range (Cordillera de la Costa). The valley's temperatures are springlike. Terrain suitable for building lies between 760 and 910 m (2,500 and 3,000 ft) above sea level.